Stefan Witold Karwowski was born in London on June 4, 1945. He moved to New Zealand with his family in 1948. He was educated firstly at Kokopu and Maungatapere Schools before joining Whangarei Boys' High School in 1959. But flying had always been his passion since he was in primary school and so it was that at the end of 1963 he joined the RNZAF. He did his initial training at Wigram air station. During his time there he won a scholarship to train as a jet pilot with the RAF and left for Britain in July 1964, as a cadet pilot, to attend an advanced training course where he learned to fly Jet Provosts, Gnats and Hunters. Such was his prowess that he won an Air Force Aerobatic Trophy flying a Hawker Siddely Gnat, flew for the Station Aerobatic Team and became an instructor on Jet Provost aircraft. Stefan was promoted to Pilot Officer in July 1965 followed a year later with promotion to Flying Officer, and graduated from the course with the rare classification of ‘exceptional pilot’. His first posting in 1966 was to Bahrain where he flew Hawker Hunters for No. 208 Squadron in a ground Attack role. He stayed there for 2½ years before returning to England. There he spent a further two years instructing in Jet Provosts in Yorkshire and was promoted to Flight Lieutenant on April 5, 1970. In 1971, he was given a special posting by the RAF as an aerobatics instructor in Hunter jets with the fledgling Singapore Air Force. He was there for three years and taught his pupils formation aerobatics as well as helping to organise a five aircraft aerobatics team. When he left in January 1972 he was transferred to the Reserves. In 1974, Stefan spent a year with the crack Carling Aerobatic Team in Canada and the USA. He will be best remembered for his polished flying displays in Hunter, Gnat and Bearcat aircraft. Following this he returned to New Zealand for a short period spending time at the Northern Districts Aero Club in Whangarei and also tried to join Air New Zealand as a commercial pilot, but being too impatient to sit out long exams and selection criteria, he curtailed this ambition. During 1975 Stefan, under the auspices of the RAF, saw service in the Sultan of Oman’s Air Force, seeing combat in the ‘Dhofar War’ which was a war between the Sultan’s British-backed forces and Communist-backed revolutionaries. He had two narrow escapes during that war. Once when his jet fighter had engine failure and again when a ‘Sam’ missile shattered his windscreen. But he survived both occurrences and went on to be awarded the Sultan’s Gold Cross, that country’s equivalent of the Victoria Cross, for his many ground attack sorties against heavy opposition. Such was the esteem that this award was held in, Stefan received permission from Buckingham Palace to allow him to wear it on his British uniform. Stefan finally left the RAF on 7 January 1976 with the rank of Flight Lieutenant. When he returned to Britain he was soon back on aerobatic display work and was one of the two most sought after pilots in that field, the other also being a New Zealander, Ray Hanna. But Stefan was invariably the one that rich collectors and aviation clubs asked to fly their vintage aircraft and his log book had them all, from World War I reproductions to carefullly preserved Hurricanes and Spitfires. It was a special occasion for Stefan when he first flew a Spitfire, the historic fighter that his father had flown during the Battle of Britain and after. He became a sales executive with Airmore International,selling second-hand aircraft (eg Beechking and Piper Navajos) but was always in demand for his aerobatic flying and played a part in the British-made film ‘Warbirds’ which was about pilots of his calibre and vintage military aircraft. It is his ‘Raff Officers’ Mess’ voice that describes the performance of his Grumman Bearcat F8F. While he spent the majority of his life overseas, New Zealand was always his home and he made frequent trips back for holidays and to spend time with his now widowed mother who lived in Motueka. Sadly it was during one of those trips that Stefan met his death. 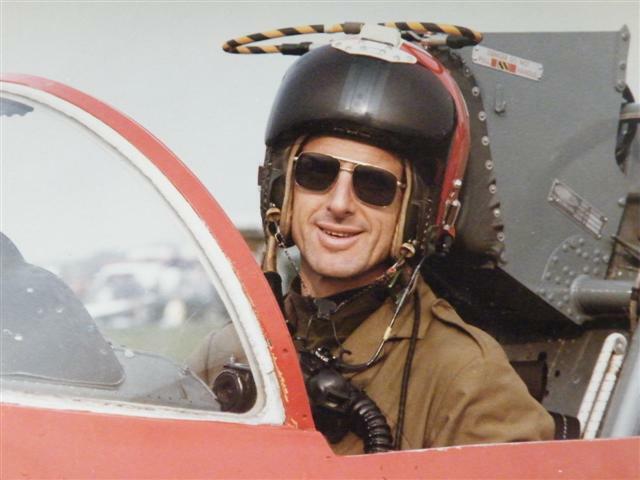 It was on April 25, 1985, just short of his 40th birthday, that he was practising aerobatics north of Wanaka in a borrowed Pitts aircraft when the aircraft was seen to enter a spin at about 3000ft and recovery was achieved too late to avoid impact with the ground. Stefan died two days later in Christchurch hospital. A special memorial service was held for Stefan at the church of St Clements Danes in the Strand, London, the official chapel of the Royal Air Force. Among the congregaion were New Zealanders, Englishmen and some paternal compatriots who were honouring the son of a much decorated Polish Spitfire pilot from the Battle of Britain. ‘Stefan Karwowski was a virtuoso in his field – he was to aerobatic flying what Yehudi Menuhin was to music’. In recognition of his heroic flying feats and dedication to the field of aviation, both nationally and internationally, Stefan Karwowski is the 12th inductee into the Whangarei Boys’ High School Fideliter Fellowship.